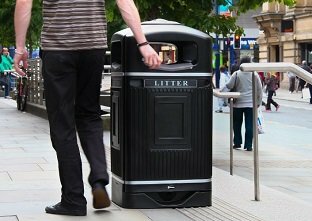 Glasdon produce a wide range of Indoor and Outdoor litter bins to help manage waste in internal and external areas, ranging from Parks and On street Locations to Shopping Centres, Schools, Universities and Offices. 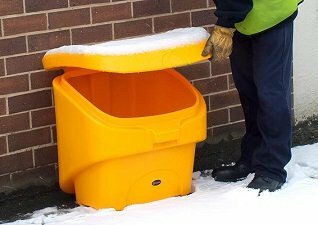 Our Outdoor Waste Management Containers are robust, practical and resistant to weather conditions. 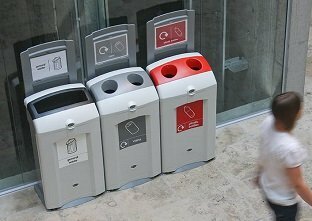 We produce a wide range of Indoor and Outdoor Recycling Bins. Our Recycling Containers are available in a variety of capacities and styles. 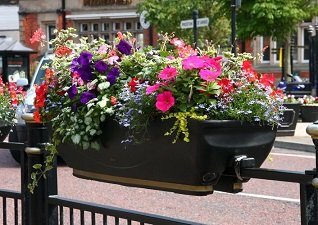 This allows you to provide a total Recycling Solution within Offices, Schools, Universities, Shopping Centres and Leisure Sites, as well as Parks, On-street Locations and Bring Sites. Our range of Grit Bins, Broadcast / Drop Grit Salt Spreaders and Snow Shovels will meet all your Grit Salt Storage and spreading requirements. 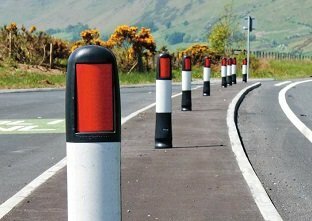 A range of attractive and durable Traffic Bollards, including Verge and Hazard Marker Posts are available in a variety of styles and materials to suit any Street Scene. Many of our Bollards are available as a crash-friendly Rebound option. 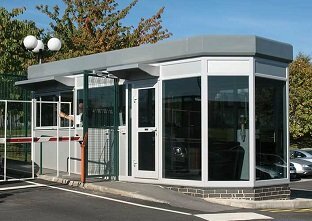 Modular temporary, semi-permanent or permanent GRP Buildings, GRP/ Steel Housings and Equipment Cabinets to suit all requirements. 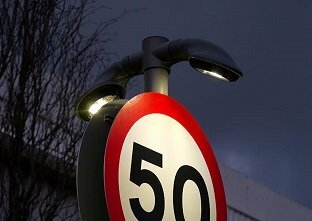 Illuminated and non-illuminated Street Lighting products that can help local authority lighting departments achieve significant cost savings on electricity and maintenance. Hard-wearing Outdoor Seats, Benches and Picnic Tables made from Recycled Materials and FSC® Certified Hardwood. Commemorative / Memorial Plaques are available on the vast majority of our Seating ranges. 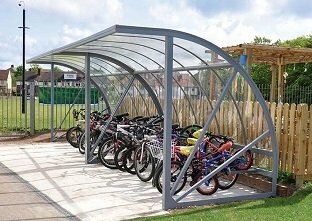 Glasdon produce an extensive range of Heritage and Modern Shelters such as Cycle Shelters, Waiting Shelters, Smoking Shelters and Cycle Lockers. A 'quacking' fundraising effort for 2018! 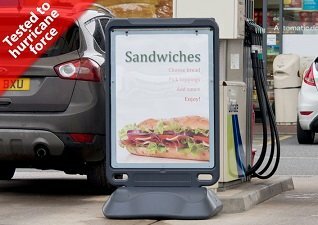 Advertise on your premises with our range of poster display solutions. Robust and easy to use the Advocate Floor Standing Poster Display Sign has even been tested to hurricane force. Enhance your great outdoors with the Glasdon range of rail mounted and hanging wall-mounted planters. 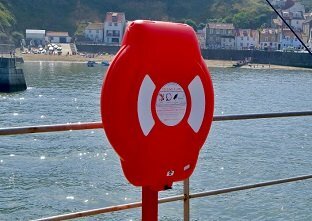 Water safety products including Lifebuoys, Lifebuoy Housings and Water Rescue Throwing Buoys made in the UK by Glasdon. We serve over 50,000 customers throughout the UK and Ireland including national and local government departments, public utilities, retailers and leisure companies plus a broad spectrum of British industry and commerce. 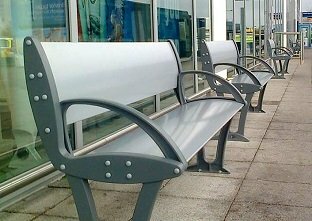 Customer care and new product innovation have established Glasdon UK as a market leader in the design and manufacture of award-winning street furniture products. When specifying street furniture, product quality is essential to ensuring longevity and value for money. Glasdon strives to supply you with high quality, durable products that will stand the test of time. Glasdon benches are a prime example of products designed for the toughest of environments. 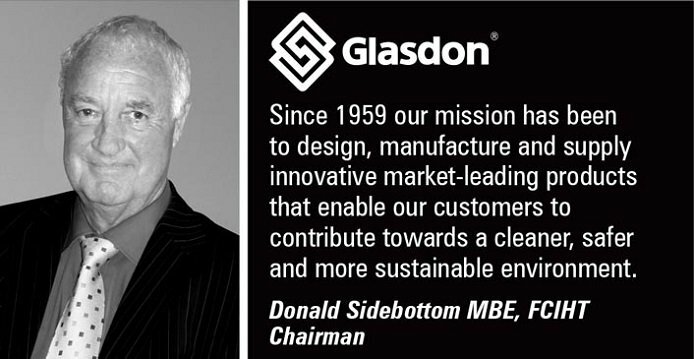 You can find out more in this FAQ where we explore the sustainable materials used in our park benches: Which materials do Glasdon use for their seats and benches? Finding a product that suits your needs can present its own challenges, which is why we offer a Free Waste Management Audit, where a Glasdon waste management specialist will work with you to assess your waste management needs and provide you with recommendations for adaptations and improvements. We also have a fantastic Live Chat feature with industry experts always waiting to help as well as our FAQs, offering advice such as How to Choose a Litter Bin or How to Boost your Office Recycling Programme.